IDC Health Insights estimates that the combined annual growth rate in the analytics market during the 10 years from 2010 through 2020 will be in the 8 percent to 11 percent range; this places analytics among the top areas of spending growth for hospitals and health systems during this decade. This attractive growth rate has led to numerous new products joining an already-crowded supplier landscape. 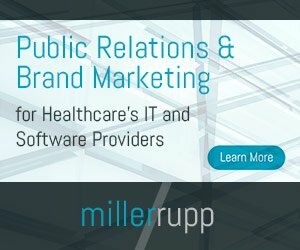 The new report, IDC MarketScape: U.S. Healthcare Provider Clinical and Financial Analytics Standalone Platform Vendor Assessment, evaluates analytics platforms that allow providers to examine clinical and financial data together, and to provide actionable advice for optimizing delivery of care. Vendors evaluated in this IDC MarketScape include: The Advisory Board, Allscripts, ArborMetrics, Explorys, Health Catalyst, IBM, McKesson, Optum, Oracle, Premier, SAP and Verisk. The U.S. healthcare provider analytics market has experienced rapid growth and change since the introduction of accountable care with the patient protection and affordable care act (PPACA) of 2010. Analytics are clearly a critical tool that will allow health systems to understand and respond to the business model change and disruption of accountable care, and many types of analytics models and tools will likely be useful to providers. This IDC MarketScape report focuses on analytics platforms that allow providers to examine clinical and financial data together, and to use this data to provide actionable advice for optimizing delivery of care. Clinical and financial analytics take many forms. This report examines platforms that allow providers to approach analytics in multiple ways, with agile tools that may include clinical and financial analytics, text and data mining, population health analytics, cost and cost accounting analytics, performance and quality management analytics and dashboards, as well as data exploration tools that can be applied to as-yet-undiscovered questions. This report examines the flexibility of analytics platforms as well as the strength and weaknesses of individual analytics applications available on the platform. No analytics solution will meet all needs out-of-the-box. Successful analytics programs will develop and nurture platforms that assemble and manage data, offer tools to ensure data quality, and offer applications that allow providers to explore and assemble data on-demand into analytics models that meet business needs, whether they are long-established business needs or spur-of-the-moment questions. The only valuable analytics are actionable analytics. Analytics are only valuable if they make the right information available, at the right time, at the point of decision making. Solid data and data management approaches are the foundation of analytics platforms, but the rigor of data integrity processes must be balanced. As health IT continues to mature and providers continue to adopt technologies like electronic health records, the data collected from their use in the care setting becomes the most obvious reason so much energy is being put behind getting practices to implement the systems. Judy Hanover, research director of IDC Health Insights, recently told me, though, that one of the biggest challenges faced by ambulatory and hospital leaders is that the data entering the electronic systems, in most cases, is unstructured, which makes it almost useless from an analytics standpoint. Without structured data, Hanover said, quantitative analysis across the population can be complicated, and little can be compared to gain an accurate picture of what’s actually taking place in the market. Without structured data, analytics is greatly compromised, and the information gained can only be analyzed from a single, siloed location. In many cases, critical elements of data collected — like medications, vitals, allergies and health condition — are difficult to reconcile between multiple data sources, reducing the quality of the data, she said. Unstructured data proves less useful for tracking care outcomes of a population’s health with traditional analytics. For example, tax information and census data are collected the same way across their respective spectrums. All the fields in their respective fields are the same and can be measured against each other. This is not the case with the data entering an EHR. Each practice, and even each user of the system, potentially may collect data differently in a manner that’s most comfortable to the person entering the data. And as long as practices continue to forgo establishing official policies for data entry and requiring data to be entered according to a structured model, the quality of the information going in it will be a reflection of the data coming out. Lack of quality going in means lack of quality coming out. “In many cases, structured data is not as useful for analytics as we’d hoped,” Hanover said. “There are inconsistencies in the fields of data being entered in to the systems; and that affect data quality as well as results from analytics. As foundational technology, EHRs are allowing for the creation of meaningful use, but once the reform is fully in place, the shift will focus on analytics, outcomes and benefits of care provided. Currently electronic health records define healthcare, but health information exchanges (HIE) will cause a dramatic shift in the market leading to further automation of the providing care and will change how location-based services and clinical decision making are viewed. Though some practices are clearly leveraging their current data, others are not. For them, EHRs are nothing more than a computer system that replaced their paper records and qualified them for incentives. In the very near term, the technology will have to have more capability than simply serving as a repository for information collected, but will become a database of reference material that will have to be drawn upon rather than simply housed. The data collected in this manner will lead to a stronger accountable care model, which will once again bring the practice of care in connection with the payment of care. Evidence-based approaches will continue to dominate care when the data suggests certain protocols require it, which means insurers will feel as though they are working to control costs. Unfortunately, all of the regulation comes at an obvious cost at the expense of the technology and its vendors, said Hanover. EHR innovation continues to suffer with the aggressive push for reform through meaningful use as vendors scramble to keep up with requirements. “There’s little or no innovation because all of the vendors are being hemmed down by meaningful use and certification requirements,” she said. Product standardization means there are far fewer products that actually stand out in the market. Though vendors will suffer, users of the systems will likely face major set backs and upheavals at the market shifts and settles. Especially as consolidation occurs, suppliers disappear or change ownership, practices and physicians using these systems face the toughest road as they’ll be forced to find new solutions to meet their needs, learn the systems and try to get back to where they were in a meaningful way in a relatively short period of time. Likely, deciding which system to implement may bear just as much weight as deciding how to use it.